Russia’s largest airline Aeroflot served 2.506 million passengers in March or up 11.8% year-on-year, the carrier reports. The growth rate was slightly higher than in February when Aeroflot’s traffic increased by 11.3%. The airline’s international passenger numbers continued to grow faster, at 1.313 million (up 15.2% year-on-year), than its domestic traffic at 1.192 million (up 8.3%). The carrier’s parent Aeroflot Group, which also includes Rossiya Airlines, Aurora Airlines, and LCC Pobeda Airlines, has been developing more actively overall. Its combined passenger traffic grew by 14.5% in March to 3.651 million. The group’s airlines together carried 1.604 million passengers internationally (up 21.7% year-on-year) and 2.048 million domestically (up 9.5%). This rapid growth is largely due to Rossiya’s widebody operations. The Federal Air Transport Agency reports that Rossiya was the fastest growing airline within Aeroflot Group in Q1 20117, transporting 27.8% more passengers year-on-year. To compare, Aeroflot’s Q1 traffic growth stood at 12.6%; Pobeda’s, at 3.6%; Aurora’s, at 9.6%. Aeroflot and the group in general are developing at the same rate as last year: their 2016 passenger traffic grew by 11% and 10.3% year-on-year, respectively. 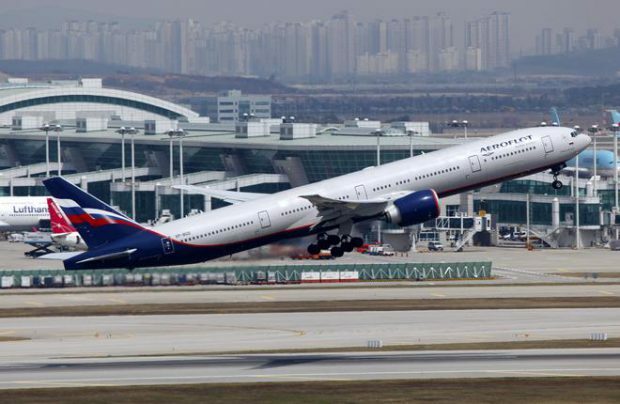 Prime news agency quotes Aeroflot CEO Vitaly Savelyev as saying the carrier expects its 2017 traffic to stand at 33 million passengers, whereas the group in general is aiming for 50 million. This puts the projected year-on-year growth rates at 13.9% and 15.1% respectively.